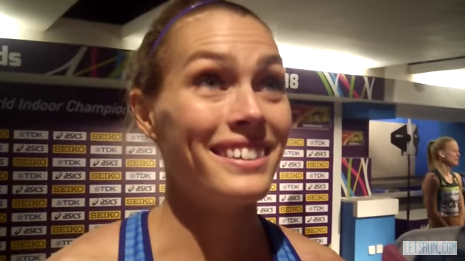 – American Colleen Quigley talking about the 2018 IAAF World Indoor Championships where seemingly everyone and their mother was DQed for a lane violation on Friday. Will the 60h hurdle WR go down in Birmingham? 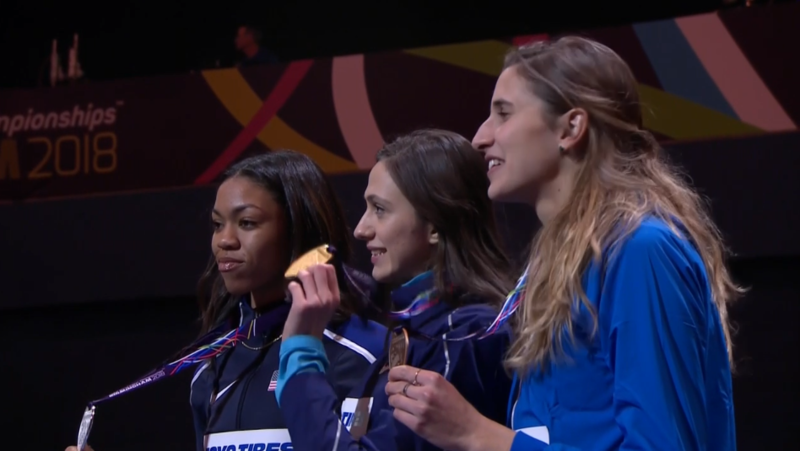 Will the women's 60h WR go down today? Will the 60 WR go down in Birmingham? Will the men's 60 WR go down today? RIP: Dr. Dave Martin - marathon physiology expert - has died at 78. Post your tributes here. Men's 800: Anyone think with Korir out that Brazier's chances for gold just went way up but so did his odds for no medal? MB After Finshing 2nd, Drew Windle DQd In 800, Then The DQ Is Lifted- Adam Kszczot Dominates Tell us if you’ve ever seen this be called a foul at the 400m mark of an 800 race. We’re glad the officials came to their senses. LRC Women’s 800 Semis: The World’s Fastest Woman and Margaret Wambui Go Home As Ajee Wilson Cruises Ajee Wilson was masterclass but Francine Niyonsaba looked fantastic as well in her first race of the year. Raevyn Rogers snuck into the final after Wambui was DQd. 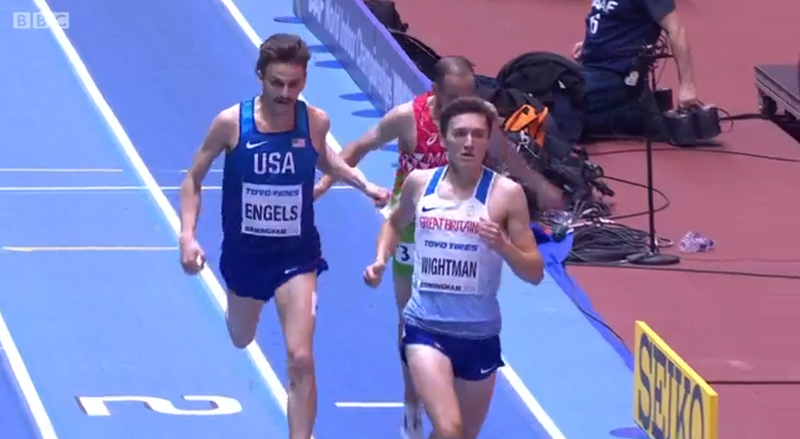 LRC Men’s 1500 Semis: Americans Craig Engels and Ben Blankenship Both Advance As Tefera and Iguider Stamp Themselves as Favorites For Gold Two Brits, two Americans and two Ethiopians are in the final but Ryan Gregson was eliminated after getting an unlucky heat draw. Tom Walsh defends shot crown with massive 22.31m heave – the longest indoor throw in 10 years Walsh moves to #4 all-time in indoor history and erased the longest World Indoor CR – one that had stood since 1987. Top Scoring Programs At NCAA Indoors By Event The Arkansas men lead 5 different events – mile, 3k, 5k, LJ and TJ. Russian Olympic Committee (ROC) President Alexander Zhukov Says They Will Not Recognize The Conclusions Of The McLaren Report And that’s a requirement for them to be deemed complaint with WADA. Swedes Encourage People Not To Jog But To Plogga They want you to pluck and run at the same time – ie pick up trash. Jamaicans Expecting To Earn More Than The 3 Indoor Medals They Earned In 2016 Even Without Omar McLeod Meanwhile, the blame game on McLeod’s absence potentially due to visa issues is still being tossed around. LRC Day 2 PM Recap: There Was A Huge Upset In An Incredible Long Jump Competition, KJT Wins Pentathlon Gold On Home Soil, And Murielle Ahoure Leads Ivory Coast To 1-2 Finish In 60 The Brits got a much wanted gold, but the biggest story of the night was the incredible men’s long jump which was won by a 19-year-old from Cuba, Juan Miguel Echevarria, who snapped Luvo Manyonga‘s win streak thanks to the longest leap in 8 years. 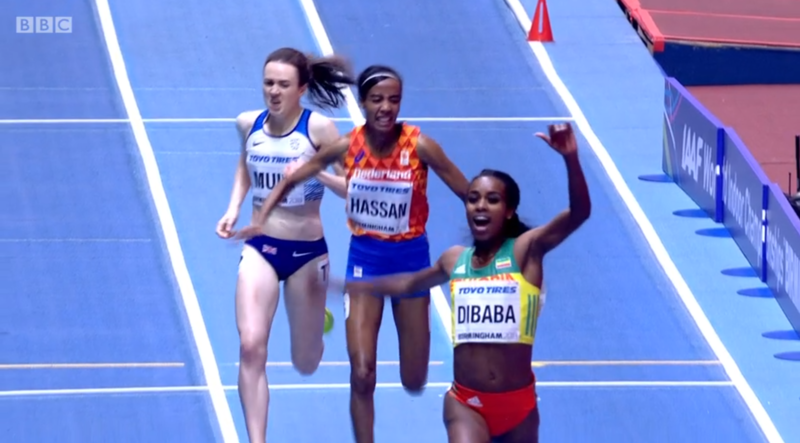 LRC Women’s 1,500 Semis: Dibaba, Hassan, Muir Set For 3,000 Rematch As Americans Quigley, Houlihan Make Final If you enjoyed the 3k final, then you’re going to love the 1,500 final as all the major players are back plus the world’s #1 steepler in Beatrice Chepkoech. LRC Colleen Quigley Criticizes World Indoor Meet Management, Cites “Brutal” Officiating, Says “They’ve Forgotten That It’s All About the Athletes” Quigley says the athletes haven’t even been allowed to get used to steeper than normal turns or do strides before their races. LRC Men’s 800 Semifinals: Donavan Brazier Goes Home, Drew Windle PRs and Advances Recap, analysis, post-race video. 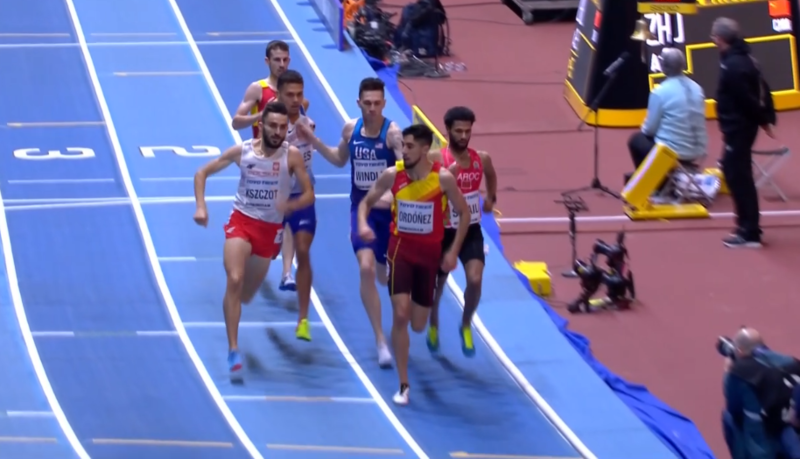 *MB: Donavan Brazier goes home devastated – Brazier is out of the world championships Brazier bombed in the 2nd semi but said he had nothing to run for as he knew he’d be DQed for stepping on the line on the first turn. He was right – he got the DQ. Getting Eliminated In 400 Semi Is A Huge Accomplishment If You Are From Ireland Phil Healy was the 1st Irish sprinter to get out of the 1st round since 2010. LRC Editorial After Ridiculous DQs At The 2018 IAAF World Champs: The IAAF Rule Book Needs To Be Modernized & The Visa Issue Is A Disgrace If you were hoping to see the stars compete in the finals at the World Indoor Champs, you are out of luck. 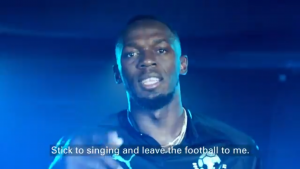 Six big stars, including Paul Chelimo, won’t be in there either because of ridiculous DQs or the inability to get a visa and that’s a disgrace. Can’t some bureaucrat flex some muscle and get the Olympic champion Omar McLeod into Britain within 24 hours? LRC Morning Session Recap: Paul Chelimo Is DQed In 3,000, As Is World Leader Bralon Taplin (& His Entire Heat!) In The 400 History was made at the 2018 World Indoors as we saw something we’ve never seen before – an entire heat DQed! LRC Kenyan 800 Star Emmanuel Korir OUT Of World Indoors Due To Visa Issues According to his agent Karen Locke, the IT system has shut down in the U.K. consulate in New York. *Update: 1,500 favorite Ayanleh Souleiman is out as well with a visa issue. *MB: Men’s 800: Anyone think with Korir out that Brazier’s chances for gold just went way up but so did his odds for no medal? While his #1 rival is out, Brazier now has no one to help him set the pace and he’s a heavy favorite. Recommended Read ESPN: Fantastic Profile Of Christian Coleman Prior To 2018 World Indoors We loved this piece and particularly this anecdote – Christian Coleman’s dad realized he was going to be a great athlete when Christian got scared and ran away from a vacuum cleaner at age 2. Outside Mag: How Katie Mackey Made Her First Worlds Team After Going 0-For-13 A little psychological advice from Dan Pfaff helped her out greatly. Not mentioned is the fact that Shannon Rowbury‘s pregnancy certainly didn’t hurt. LRC Danil Lysenko & Maria Lasitskene Claim High Jump Titles On Opening Night at World Indoors Lysenko’s win streak is now at 38 while Mutaz Essa Barshim, who hadn’t lost at all in 2018, was upset. Crowd Souce: Here Are The Picks Of The LRC Nation From The Running Warehouse Prediction Contest You can check your scores in the $200,018 Running Warehouse Prediction Contest here. 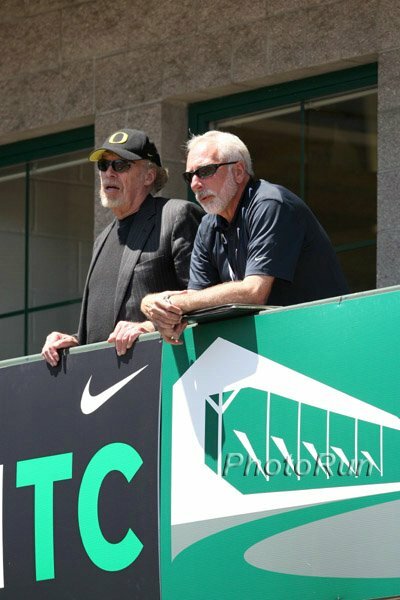 RIP: Dr. Dave Martin – Marathon Physiology Expert – Has Died At 78. Post Your Tributes Here He was instrumental in Meb and Deena winning medals in the hot Athens Olympics. 800 World Champion Pierre-Ambroise Bosse Has Been Charged For Instigating The Incident Where He Had The Crap Beaten Out Of Him Last Summer Bosse’s attacker says Bosse started it by throwing a beer can at him. Jeff Riseley Loses Appeal & Won’t Be At CGs Despite Finishing 3rd At Australians Instead, the winner of the B final, 19-year-old Joe Deng (1:45.71), will be going. We actually think Deng should go but think it’s absurd he was in the B final to begin with as that was the result of them having 5 heats of semis. STUPID. 53-Year-Old British Javelin Coach David Burrell Gets Four-Year Suspension For Refusing To Take A Drug Test Burrell is now principally an assistant coach, but still competes “from time to time.” After one of his athletes was popped, UKAD tried to test him as well and he refused. 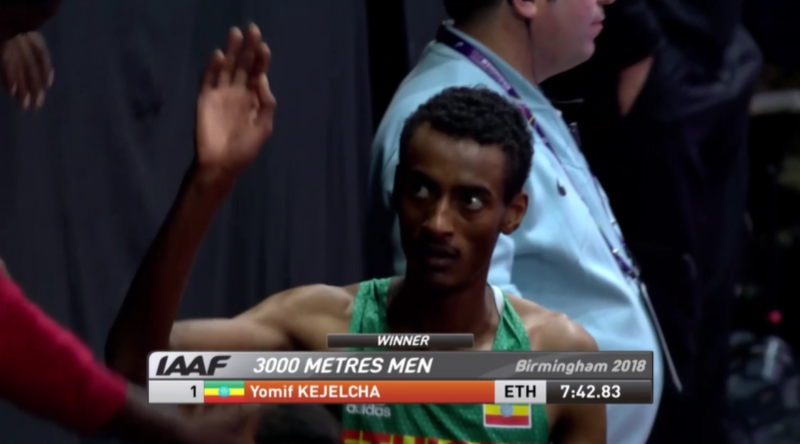 WTW Some Dude You’ve Never Heard Of Won $266,650 In A Half Marathon In Saudi Arabia, Incredible Japanese Men’s Marathoning, Another WR For Kyle Merber, Freshmen Sydney McLaughlin And Lynna Irby Put On A Show At SECs Our weekly recap spans the spectrum, from the Japanese showing the American men how to run the marathon, to another WR for Kyle Merber, to freshman Sydney McLaughlin running a world-leading 50.52 400m and possibly not having as good a weekend as another freshman – Lynna Irby of Georgia.